Happy Friday, guys! Did you all have a good Thanksgiving? Mine was pretty stellar… still feeling that food coma, though! Now that Thanksgiving is behind us, I can fully embrace the holiday season! Bring on the Christmas decorations, movies, music, and sweet treats! I don’t know about you, but I simply can’t decorate my tree without a festive treat. I do a lot of baking this time of year. That means I need to keep my kitchen well stocked with a great gluten-free flour. Bob’s Red Mill is my go-to brand when it comes to flours. 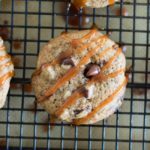 Not only is the gluten free 1 to 1 baking flour easy to find at my local grocery store, but it makes perfect baked goods! 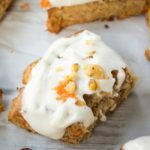 This flour combines finely ground brown rice flour, sweet white rice flour, whole grain sorghum flour, potato starch, and tapioca flour with a touch of xanthan gum—just enough xanthan gum to create chewy cookies and springy muffins. And of course, fabulous cupcakes! ? 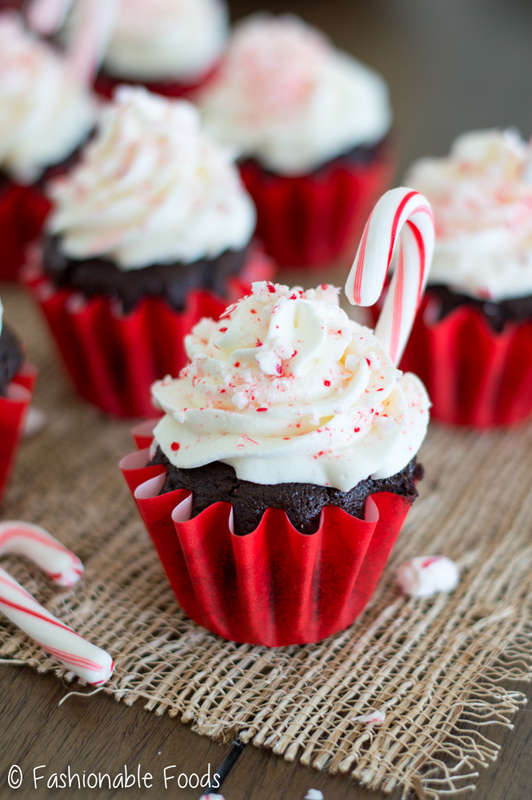 If you guys are fans of peppermint mocha drinks, then you are going to go crazy for these cupcakes! The holiday season always makes me want all things peppermint. 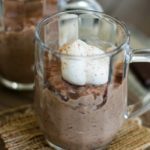 Combine that with two of my favorite things – chocolate and coffee… well, you’ve got a winner there! Since this time of year includes a lot of family time, I love reaching for those tried and true recipes that have been around for generations. This chocolate cake batter is, legit, the best ever. Courtesy of my great-grandmother, whom I unfortunately never had the pleasure of meeting. Luckily, my mom passed all of her recipes along to me. I could sit and read through them for hours on end! One, because I love reading recipes. And two, because most of them are scribbled on random pieces of paper and need a lot of decoding! Obviously, my great-grandmother wasn’t making gluten-free chocolate cake. 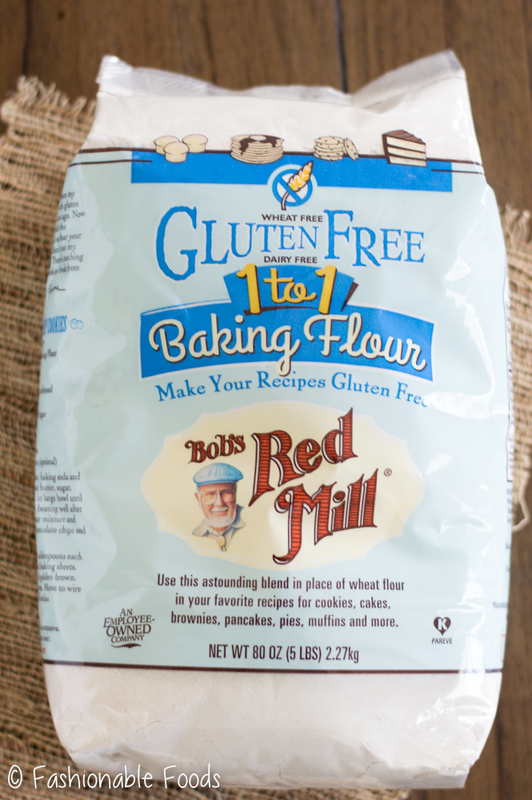 Luckily Bob’s Red Mill Gluten Free 1 to 1 Baking Flour is perfectly formulated for baked goods with terrific taste and texture – no additional specialty ingredients or custom recipes required. That makes it perfect for using in all of your favorite recipes! What makes this chocolate cake so special? The boiling coffee! I will never forget the first time I made it. I poured the boiling coffee in the cake batter and was horrified at what I saw. Super thin and runny… I really thought I did something wrong. After a few seconds, the flour mixture absorbs some of liquid and you end up with a thin, but velvety batter. The trick here is that you want to mix your dry ingredients and then the wet (minus the coffee). Then, you mix the wet ingredients into the dry and once it’s fully incorporated, you slowly pour in the boiling coffee while mixing. It will seem very thin, but that’s what gives the finished cupcakes such a great texture! The only thing I added to the recipe was peppermint extract. We are making peppermint mocha cupcakes after all! Once they bake, you gotta let them cool. Yes, it’s extremely difficult, but I use this time to clean up and make the frosting! You can’t have a peppermint mocha drink without whipped cream right? Right. 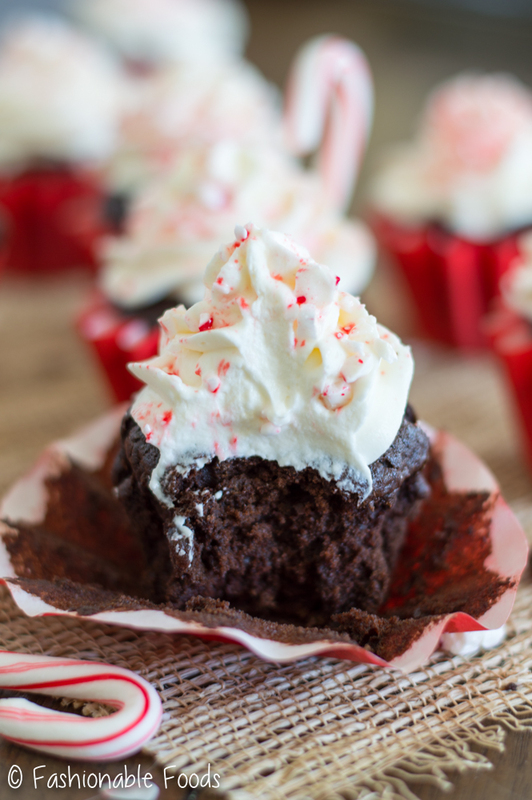 So, you can’t have a peppermint mocha cupcake without whipped cream frosting! If you tried to just pile them up with whipped cream, it wouldn’t hold up very well. 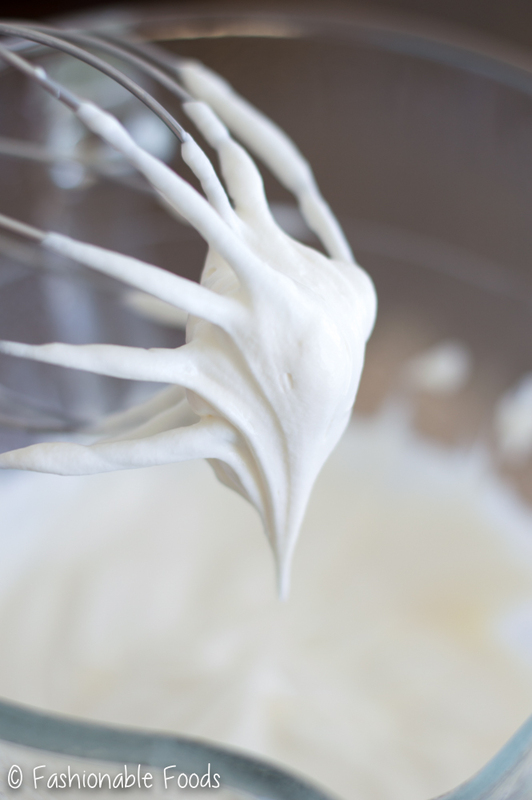 The best way to get a sturdy whipped cream frosting is to add a stabilizer. For this I use a small amount of cream cheese and butter. Whip those together and add a hint of vanilla extract and peppermint extract. Once you have that nice and smooth, add in 1/4 cup of the heavy cream. This helps to smooth things out and brings things closer in temperature. Sweeten things up with powdered sugar and then whip in the rest of the cream. Whipped cream frosting = fantastic. Once you have completely cooled cupcakes, you can pile on the frosting! Then, top them off with crushed candy canes for some crunch and a pretty finish. Now, tell me that isn’t the perfect treat to enjoy while decorating the Christmas tree?! I plan on enjoying quite a few while we do our tree. ? Be sure and checkout this website to get a coupon for Bob’s Red Mill flour! 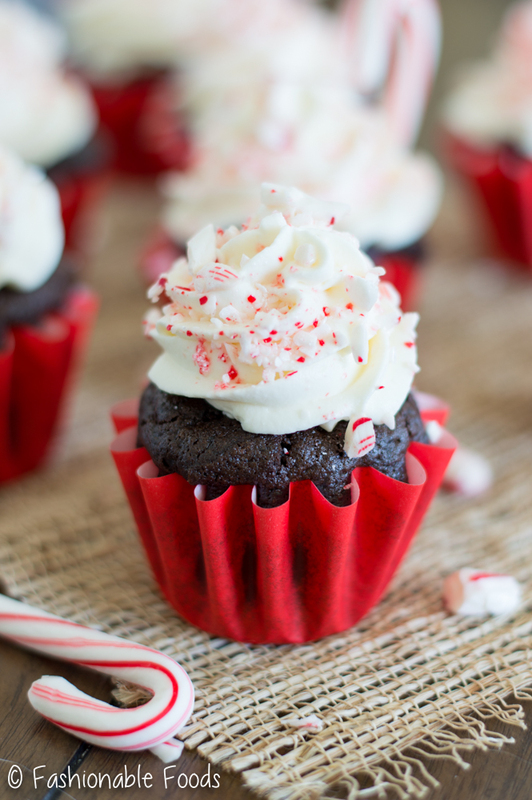 Welcome the holiday season with these cozy peppermint mocha cupcakes! Chocolate cake batter is flavored with coffee and peppermint extract for a classic flavor combo. Top the cupcakes with a delicious peppermint whipped cream frosting for the perfect holiday treat! In the bowl of a stand mixer (or a large mixing bowl) whisk together the flour, sugar, baking soda, baking powder, salt, and cocoa powder. In a medium bowl, combine the egg, vanilla extract, peppermint extract, melted butter, and milk. Whisk until well combined. At this point, you should bring your coffee to a boil. If using a stand mixer, fit the mixer with the paddle attachment. Alternatively you can just use a rubber spatula. With the mixer running on low speed, pour the wet ingredient mixture into the dry ingredient mixture until just combined. With the mixer running on low, slowly pour in the boiling coffee. The batter will be thin! Pour the batter into the prepared muffin tin, filling the cups about 2/3 of the way full. Bake the cupcakes for 18-20 minutes, or until a cake tester comes out clean ( a few small crumbs are ok!). 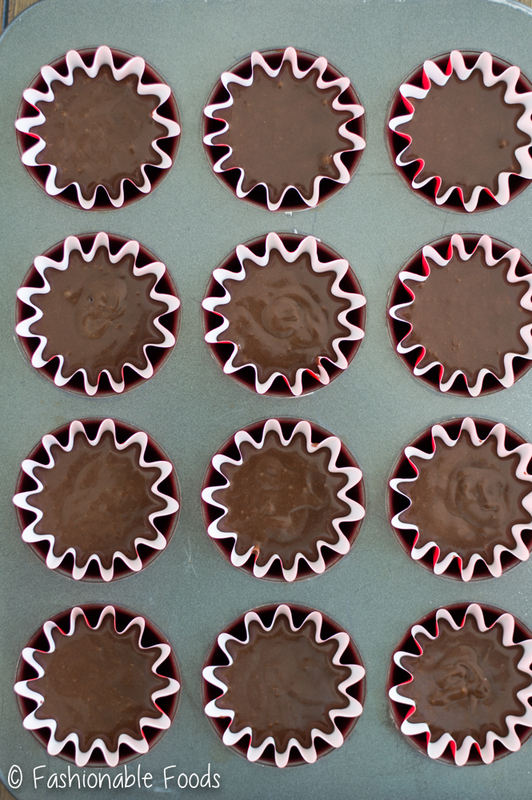 Transfer the cupcakes to a cooling rack and allow them to cool completely before frosting. In the bowl of a stand mixer fitted with the paddle attachment, whip the cream cheese, butter, vanilla extract, peppermint extract, and a pinch of salt. Once the mixture is smooth and creamy, pour in ¼ cup of the heavy cream and add in the powdered sugar. Beat until the mixture is smooth and creamy. Swap out the paddle attachment on the mixer for whisk. Pour in the remaining ¾ cup of heavy cream and whip until the mixture will hold a firm peak. Frost the cupcakes using a pastry bag, or just slather it on! 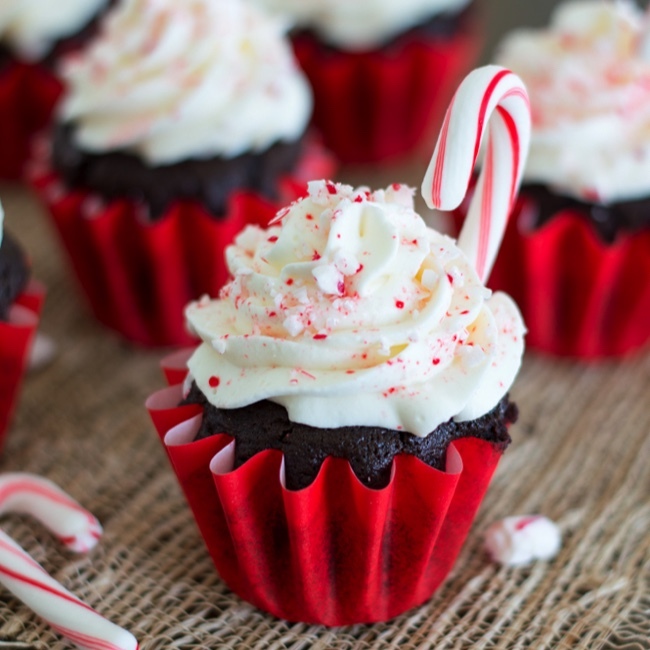 Top the cupcakes with chopped candy canes and enjoy! 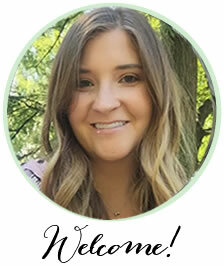 *I like to brew strong coffee so the flavor can really shine through. Feel free to use your favorite coffee! These are beautiful! And so great that they are gluten free. These look so amazing!! I can’t wait to make them myself. I was wondering though I would like to do them as mini cupcakes and was wondering if you have a suggested baking time for them? I’m planning on talking them to a holiday party where there are about 150 people. I want to make a lot so everyone can have a chance at one! My cupcakes overflowed over the edges and fell in the middle. 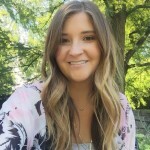 Any advice? Love these cupcakes. Would like to use for a red velveteen wedding theme and wondered which cupcake liners you used, they work beautifully with cake! Hi Maraline. I’m not sure of the brand as I’ve had them for years and don’t have the original packaging. I bought them at Michael’s, though! How far ahead can you make the topping? I want to make these a day ahead but am not sure how long the topping will stay firm. They look yummy!